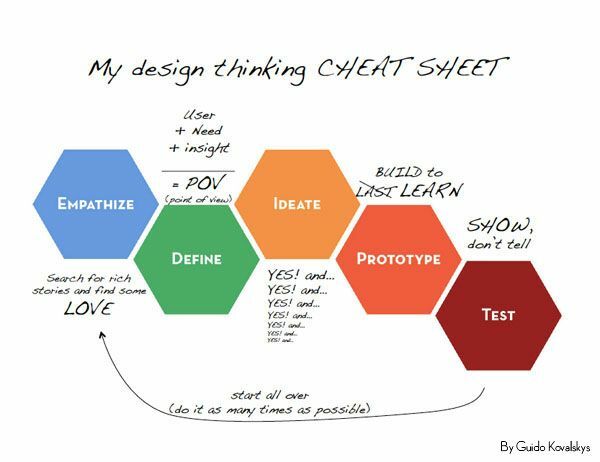 You can print these slides as posters or adapt them by following this link. In Google Slides, just go to FILE and MAKE A COPY. Imagine one day I walk into class and say, “Happy Birthday! I brought you a chocolate cake.” Then, I take out a bag of flour, a bottle of milk, a cup of sugar, a few eggs, and a few bars of chocolate…handing all of them to you separately. You would be unimpressed. I wouldn’t have made much effort to present you with a nice gift. I should have taken the time to combine all the ingredients together in an effective, appealing way. Well, your readers can feel the same way when you just DUMP a direct quotation from the text into the middle of your writing without any set-up. To add sophistication and style to your writing, you should work to integrate (or blend) direct quotations from a text into your own sentence structure. In this post I hope to give you some tools that will help you combine other people’s words with your own in a grammatically correct and appealing manner. The only real way to master this skill is to practice in your own writing, but these resources are a good place to begin developing your understanding of this ability. Knowing how to identify and correct run-on sentences is one of the best skills any young writer can develop and this ability allows apprentice scribes to write more clearly and writing more clearly will raise any ordinary Joe or Jane to rock-star status, leading to wealth, celebrity, and fame. I know. I am hilarious. I just made a grammar joke. If you didn’t get it, read on. Do you understand that definition? If so, you probably don’t need me. Go and teach yourself how to avoid this all-too-common sentence construction error. There’s this handy thing known as Google that will come in handy. But, you’re here, so you’re probably interested in some help. Allow me. Now that you’ve watched the video, you will understand this simpler definition of a run-on sentence: two or more sentences incorrectly joined together. Knowing how to identify and correct run-on sentences is one of the best skills any young writer can develop. This ability allows novice scribes to write more clearly. Writing more clearly will raise any ordinary Joe or Jane to rock-star status, leading to wealth, celebrity, and fame. As I promised in part 1 I am continuing to provide summaries and reactions to John Hattie’s and Helen Timperley’s “The Power of Feedback.” Some of my English colleagues and I have been focused on improving our feedback on student writing, and reading this meta-analysis (published in 2007) was our starting point this year. Of course, the more I read the more I wanted to know, so this reading led to more reading…and more reading, which I will summarize through these blog posts. Almost ANYTHING teachers do helps students achieve. There is actually very little we do in the classroom that decreases achievement. The key to truly effective learning, then, is to focus on WHAT WORKS BEST. 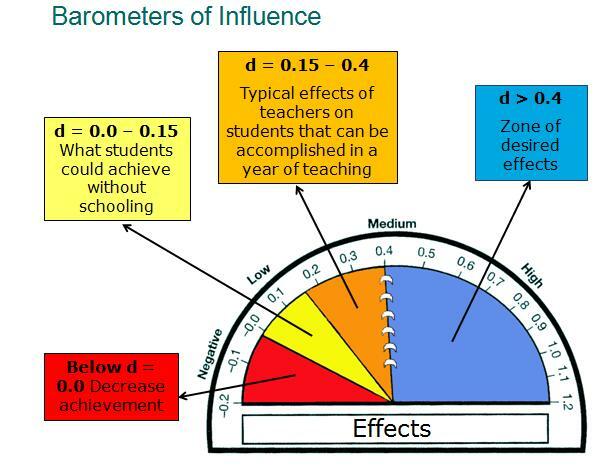 If we want to be effective educators, Hattie tells us to focus on the actions that fall in the blue category (anything offering over 0.4 influence), and, very importantly, to carefully measure our actions, gauging whether or not they are actually helping students reach greater achievement. Feedback, by the way, has a 0.75 influence and falls within the blue range. In other words, it is very much worth our time to get better at providing it. Hattie’s argument makes perfect sense to me, and it is edifying to realize that teachers’ gut instincts (e.g. better feedback helps students write better) are actually supported by big data. John Hattie and the Visible Learning team are basing their results on over 1,000 meta-analyses involving 240,000,000,000 students. I worry my middle name might be Sisyphus. Despite my best efforts, the inevitable piles of essays that are a part of my working life too often feel like boulders to move from here to there. I desperately want to see each essay as another rich opportunity, a chance to help a budding writer find her voice. At my best, I find this state of mind. 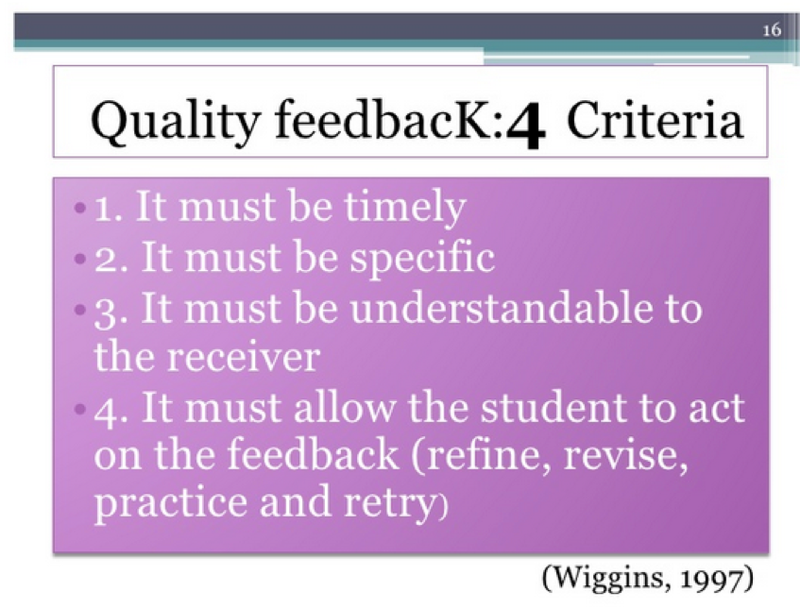 Yet, the amount of time required to respond to student work always leaves me with one nagging question: “Is all of this really working?” Thankfully, my tendency to question (*cough: despair about) the effectiveness of my feedback can lead to fruitful reflection. Lately I have explored how to ensure my time (and my students’ time) is spent most effectively. 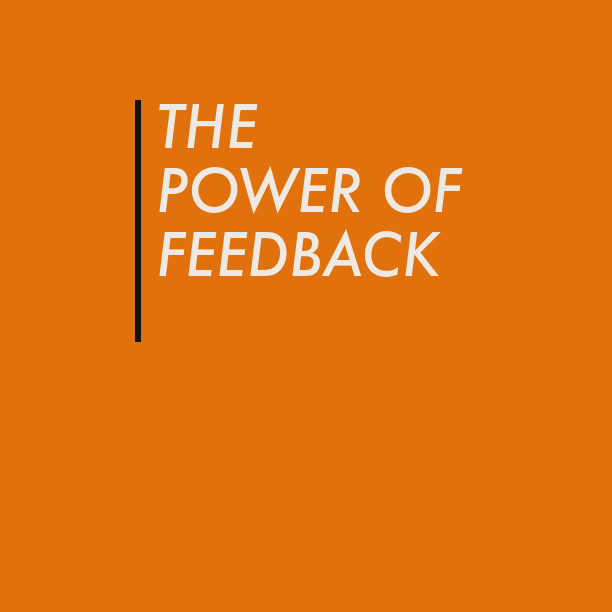 For the past two years, my fellow English teachers and I set a departmental goal of improving the efficacy of our feedback. 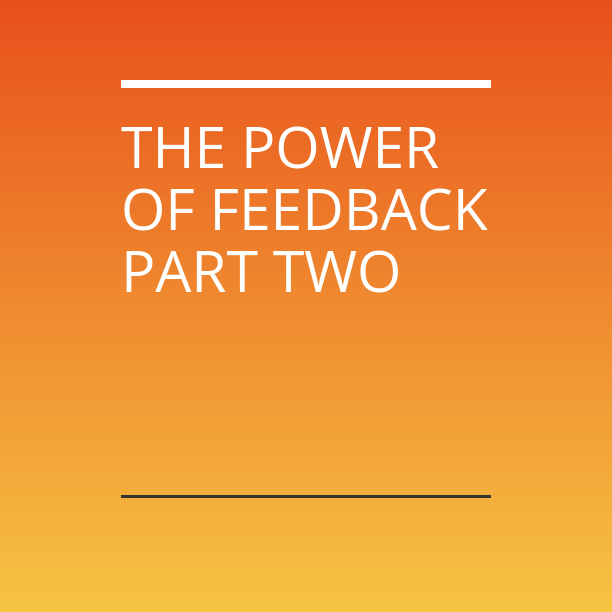 This year a few of us tackled John Hattie’s and Helen Timperley’s “The Power of Feedback,” a very extensive review of educational research on what really works in regard to teacher feedback on student work. This 2007 white paper deals with big data, reviewing hundreds of studies sampling thousands (maybe millions?) of students. The paper is dense and technical and big…but it is also illuminating and practical and useful. If you have the time, the study is worth a read. Of course, you probably don’t and just want somebody to give a summary…so keep reading. It’s been a month since I have posted something new. Know that I have been working away…but I have had plenty of shade tree time, too. It has been a busy but fulfilling winter in Germany. In the past ten years, I’ve endured my share of light-starved, snowy Februaries. In both Boston and Frankfurt, winter days can feel as if we’re all just sitting inside of some enormous, frozen broom closet waiting for somebody to turn on the lights. A colleague of mine talks about the “ping pong ball sky,” as if we’re all just sitting inside of a ball trying to look out. It’s an apt image. I fill these grey-white times by learning to do something creative. When I lived in Boston I took all kinds of continuing ed classes: boxing, rock-climbing, acting, singing, writing. This winter, my ambitions are much smaller, but I’ve been experimenting with sketchnoting. My wife bought me two books for Christmas, and we’ve both been practicing in the evenings while vegging out in front of Netflix. At this year’s ELMLE conference in Warsaw, I put my nascent skills to use. My apologies to the presenters. None of you really look like any of my sketches…just chalk up your Quasimodolike effigies to my not-so-budding artistic skills. The past weeks have been busy…just not with work on this blog. Writing semester one reports and preparing for the 2015 ELMLE conference in Warsaw consumed most of my time. Then the flu took me down. I’m back at the keyboard now, though, even if the hacking and sniffles aren’t quite over. Thankfully, I did not get sick until the day after I returned from another wonderful ELMLE experience. This was my third visit to an ELMLE conference, and I always leave bursting with ideas and convinced that the teaching world is brimming with kindred spirits. As in years past, I will dedicate future blog posts to some of the ideas I took away from the conference. I will also probably make separate blog posts out of a session I presented entitled Simple Classroom Hacks. I enjoy writing this blog, but it can be a lonely pursuit at times. The comments and growing daily hits are encouraging, but being in a roomful of educators who get excited by the ideas we are sharing is more immediately energizing. It was wonderful to make contact with so many of you at ELMLE, and I hope to get the chance to present next year in Barcelona. For now, here are my presentation slides….stay tuned for more ELMLE-inspired posts in the near future.